In the middle of July 2016 Iraq’s protests re-started after a short hiatus caused by Ramadan and the huge Karrada bombing in Baghdad. The demonstrations highlighted the difficult alliance forged between the secular civic groups that started the movement and Moqtada al-Sadr who successfully co-opted them to push his own political agenda on the country. Moqtada al-Sadr called forth the latest round of Iraq protests over the objections of the government. On July 11 he let it be known that his followers would turn out in Baghdad’s Tahrir Square on Friday. The next day tanks rolled through the streets of the capital, not to put down the marchers or to commit a coup, but to partake in a military parade to celebrate the 1958 coup that overthrew the country’s monarchy as well as recent victories over the Islamic State that was held on July 14. This was a direct challenge to Sadr by Prime Minister Haidar Abadi. The cabinet then called on Sadr to postpone his demonstration, followed by the premier making the same request warning that there could be chaos in the country as a result, and finally a group of clerics called on Abadi to go to Najaf to talk Sadr out of his plans. Finally, the Joint Operations Command declared Sadr’s demonstration’s illegal and told people not to show up. Tens of thousands gathered in Baghdad anyway on July 15 calling for reform. 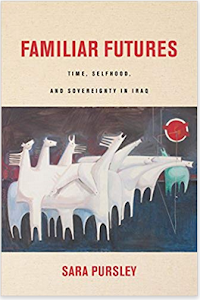 There were also similar events in Maysan, Babil, Najaf, Dhi Qar, Karbala, Muthanna, and Qadisiyah led by secular civil groups. In that last province people complained about the co-option of the protests by religious groups, and called on independents to denounce the Islamists and their partisan and sectarian goals, obviously referring to Sadr. 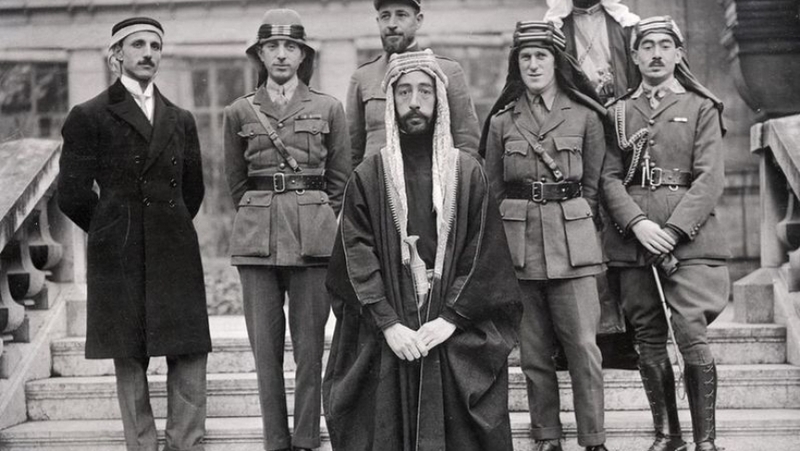 Even though it was only in one governorate Qadisiyah did bring up the differences between the original groups that started the marches and the Sadrists who have taken them over in the capital. The protests began with leftist and secular groups such as the Communist party. One of their groups was known as Mustamerroun, We Will Not Back Down. While their events were large in the beginning, their numbers began to slip as the summer dragged on. Then they made a deal with the Sadr movement. The latter was able to add thousands of people to the streets of Baghdad every Friday. However, Sadr wanted to use the demonstrations for his own political program of bullying the prime minister and other ruling parties to follow his lead in reforming the government, which he hoped would make him the new political boss of the country. Many of the demonstrators were willing to go along believing that together they were able to push the prime minister into some of his political changes. Not everyone was so happy though as some broke off and created Madaniyoun, the Civil Movement at the start of July. It appears to be in the minority, but showed that not all would go along with Sadr who not only has been part of the government since its inception, which the demonstrators have complained about, but is a religious leader as well. The secularists and Sadrists seem to have a marriage of convenience right now, and maintain their independence from each other. On July 22 for example, there were protests in six provinces with no participation from the Sadrists. Despite their willingness to work together they possess diametrically opposed goals. The secularists want the institutional structure of the government changed by eliminating corruption, the quotas, etc. which empower the ruling parties. Sadr on the other hand, is only interested in reforms because he can use it against his political rivals. For now the two are united, but it might be only a matter of time before their differences come to the fore. The third week of July saw another low level of violence. That follows the Islamic State’s spring/Ramadan offensive, which lasted several months. Now the group is only carrying out low level attacks punctuated by at least one or two attempts at a mass casualty bombing. From July 15-21, 2016 there were 122 incidents reported in the press. That compared to 125 the previous week, and 114 the first week of the month. Those low figures marked the end of the Islamic State’s spring campaign that was marked by a high number of attacks as well as a new wave of car and suicide bombings. During the week there were 167 deaths and 266 wounded the lowest numbers since February. The dead consisted of 1 Sahwa, 4 Peshmerga, 9 Hashd, 12 Iraqi Security Forces (ISF) members, 20 fighters from the Turkish PKK, and 121 civilians. There were also 1 Sahwa, 11 Hashd, 20 ISF, and 234 civilians who were injured. 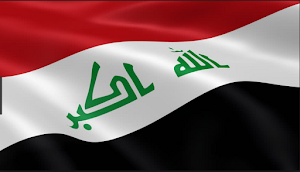 As usual Baghdad was the deadliest province with 72 killed followed by 43 in Ninewa, 20 in Kurdistan, 11 in Salahaddin, 9 in Kirkuk, 6 in Diyala, 4 in Anbar, and 2 in Dohuk. In Anbar there were just ten reported incidents. Those were mostly in western Anbar and Khalidiya Island where the Iraqi forces were carrying out their latest operations. Dolab for example, west of Hit was just liberated. 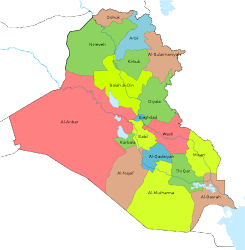 That is the next goal of the government, to free the areas along the Iraq-Syrian border, which is one of the last areas IS controls in Anbar. Only four deaths and 8 injured were mentioned during the week along with one successful suicide car bomb in an attack on Rutba. 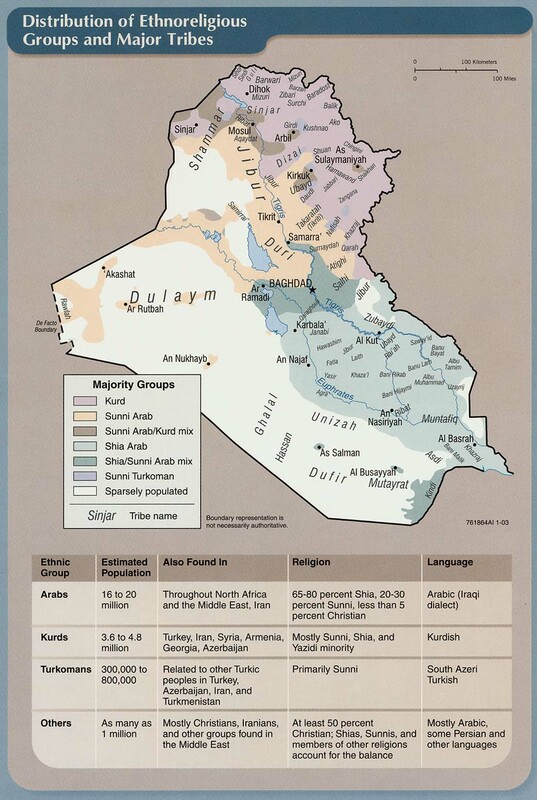 Since Fallujah was freed there has been a huge drop in violence in the province. 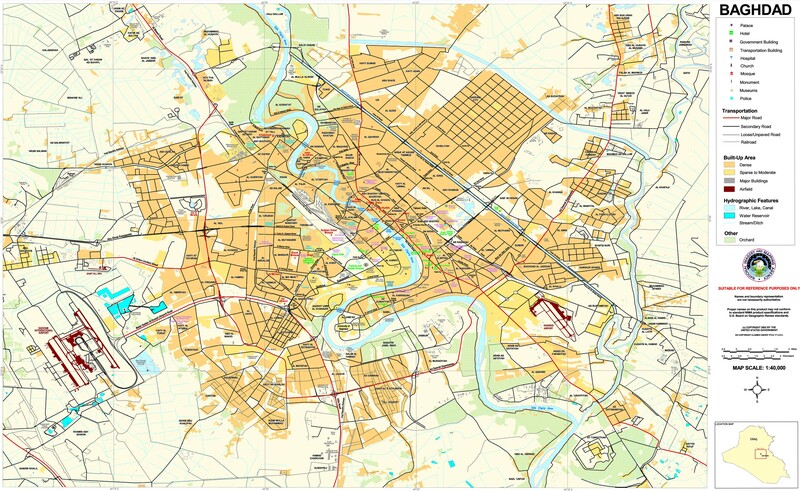 There were 70 incidents in Baghdad leading to 72 dead and 234 wounded. IS’s efforts at mass casualties bombings were foiled with one suicide bomber killed and one car bomb being dismantled. As usual the main killer in the governorate were IEDs with 42 during the week, along with 5 sticky bombs. The south was the area hit the most by the Islamic State with 28 incidents, followed by 18 in the north, 14 in the east, and 10 in the west. The villages in the outer south had 18 incidents along including the dead suicide bomber and 13 IEDs. The third week of July saw another high number of attacks in Diyala with 20. These are still low level like drive by shootings and IEDs, but this is still stepped up activity from previous months. The insurgents are also trying to carry out mass casualty bombings there as well as exemplified by eight suicide bombers being arrested or killed there during the week. 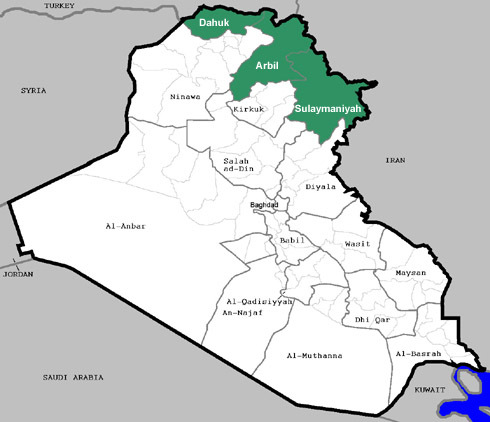 Diyala also serves as the source for many car bombs that target Baghdad, which has been the traditional role of the province as a base for IS operations into other areas of the country. The Turks claimed they killed 20 PKK fighters during the week in an air strike n Kurdistan. Turkey usually bombs Kurdistan every few weeks now that the war with the PKK has re-started. Incidents in Ninewa were a mix of executions and attacks upon the Kurds. IS killed 43 people during the week. It also attacked Tal Afar, Zummar and Sinjar. The Iraqi forces also freed another town in the Qayara district. 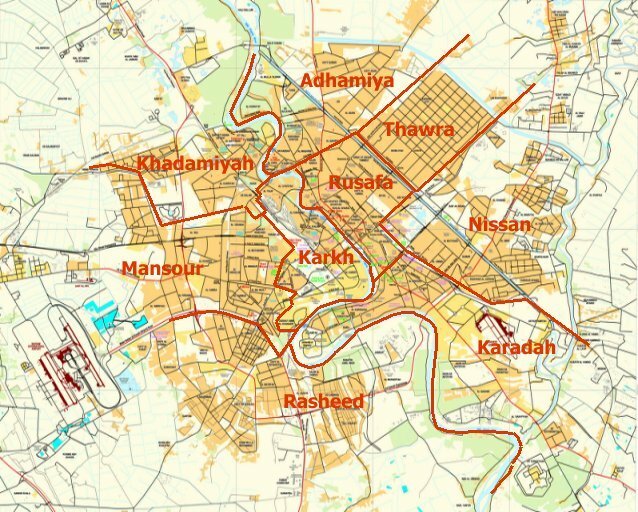 Things were generally quite in Kirkuk and Salahaddin as well with 6 and 4 incidents respectively. That was after a large number of operations by IS there previously. There was only one successful car bombings during the week, which happened in Rutba, Anbar. 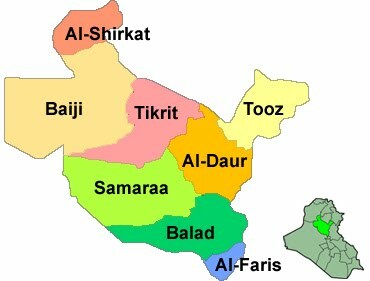 Another 12 were said to be destroyed in Anbar and Baghdad. The low number of car bombings was another sign that the spring offensive was over.